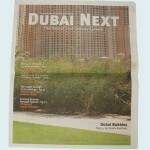 Dubai Next is a newspaper that was distributed as a supplement to the Gulf News and as the catalog of the Dubai Next exhibition at the Vitra Campus in Switzerland. In February 2007, the Dubai government announced a new phase in the city’s evolution. A strategic plan code named Vision 2015, drafted by His Highness Shaikh Mohammad Bin Rashid Al Maktoum, Vice-President and Prime Minister of the UAE and Ruler of Dubai, declared that, after decades spent assembling one of the most productive economies on earth, the time had come to shift priority from promoting growth to bringing Dubai’s economy and society into balance. Having already overseen the generation of a metropolis, Vision 2015 announced the government’s move from hardware to software – from buildings, roads and ports to regulations, legal frameworks and, significantly, culture. In the local media, the plan was presented as a new stage of Dubai’s development, a mega-project in line with the construction of the city’s infrastructure, but aimed at its people. In the months following Vision 2015’s unveiling, a new cultural agenda formed. It is articulated in the language of rational exuberance that has defined Dubai’s development so far, and contains a program of investment that would be unimaginable almost anywhere else. A series of ambitious projects – including transforming a 27 kilometer-long stretch of the city into a culture and arts district – is already underway, steered by a newly created government body, the Dubai Arts & Culture Authority. With each new launch and release, the big picture becomes clearer: having already established itself as a center for trade and tourism, in the next decade Dubai will become a center of culture – a city that, in the words of its planners, “shapes 21st century culture and arts in the region and the world.” It is an admirable ambition, one that raises an immediate question: What does “culture” mean in a city like Dubai? To begin to address the issue, the Arts & Culture Authority has organized Dubai Next, the first exhibition sponsored by the government for an international audience. Two curators – Rem Koolhaas, the Dutch architect and writer, and Jack Persekian, Artistic Director of the Sharjah Biennale – were invited to provide alternate views of the city. 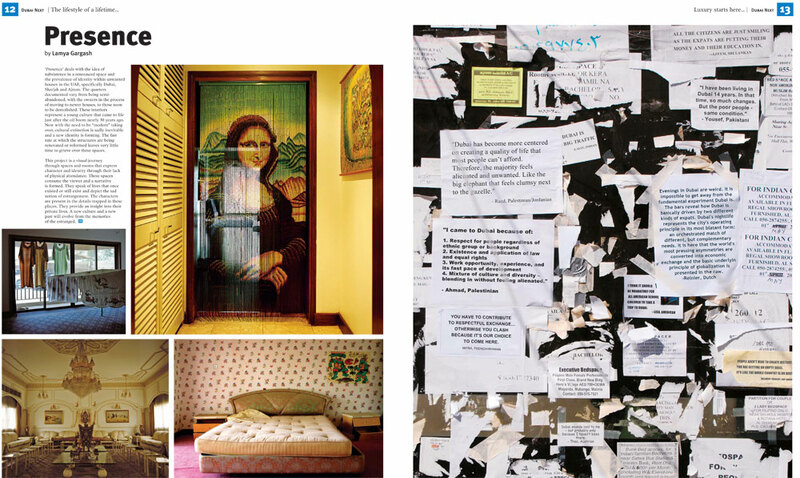 Koolhaas represents the view of Dubai from the outside-in, overseeing a photographic documentation of the dense cultural tapestry formed by the more than 200 nationalities that call Dubai home. Persekian presents another perspective: by accumulating works by five artists based in Dubai, in combination with a selection of local films curated by Bidoun, he provides a glimpse into the experience of Dubai’s indigenous population, a community of under 200,000 that oversees the city’s development but accounts for less than twenty percent of its residents. In the span of a few decades, they have witnessed changes that formerly required a century and, for many, Dubai is now no more familiar than it is for the city’s newest arrivals. Finding a balance between tradition, a continually evolving local culture, and Dubai’s majority of assorted expats is a challenge for which there are no good precedents. In establishing itself a global epicenter of culture, Dubai must find ways to represent itself without sacrificing the intricacy that distinguishes it in the Gulf region and beyond. 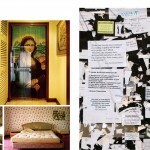 It is an effort that is ongoing and will play out in the dozens of cultural institutions that the city is now planning. Dubai Next opens the discussion, and announces the start of a new chapter in Dubai life.